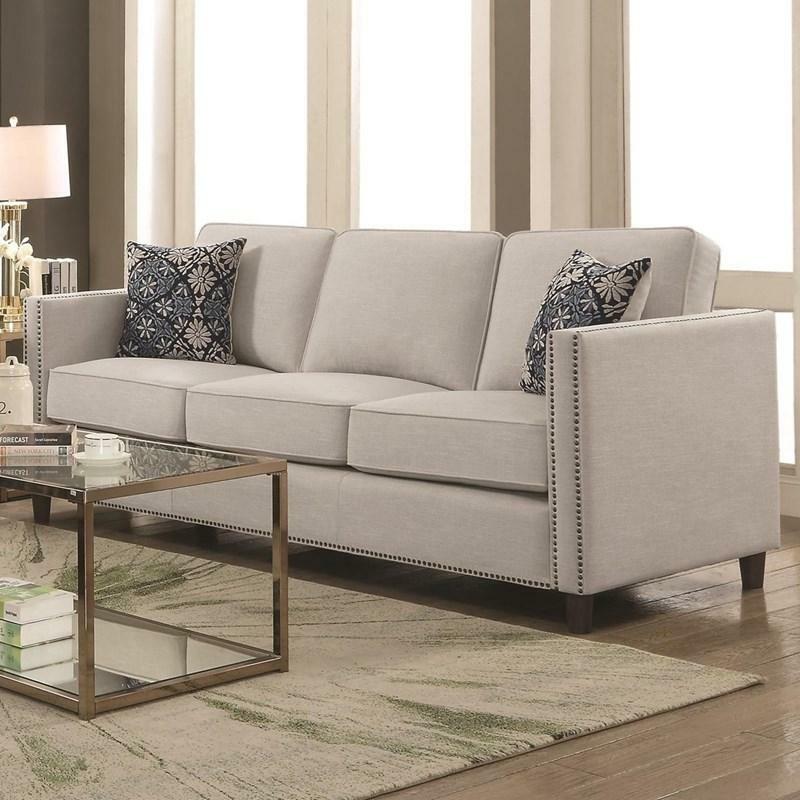 This Coaster Furniture sectional matches the Roy collection. 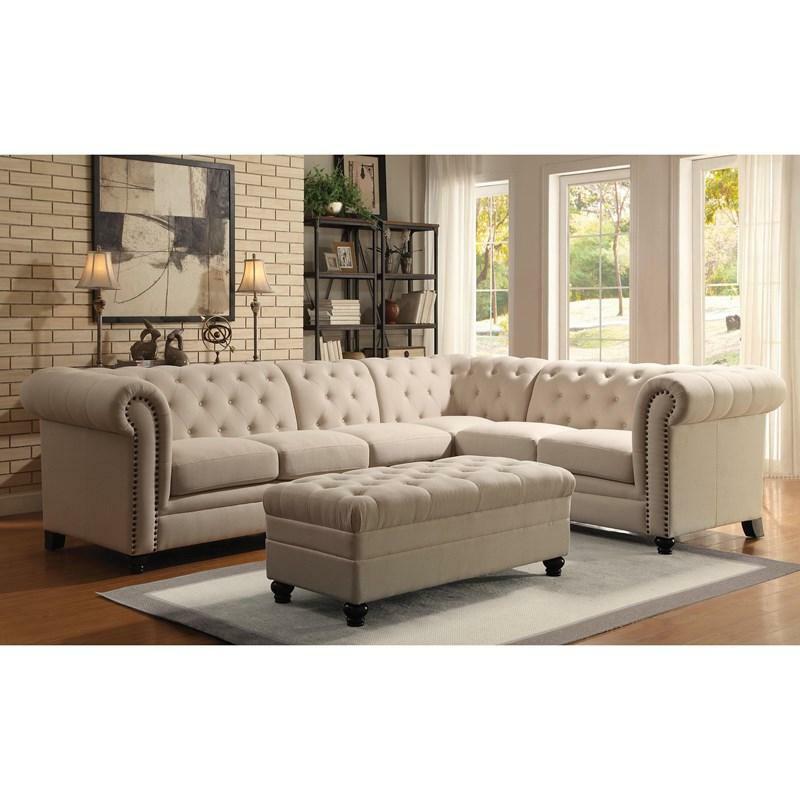 It features pocket coil seating, solid wood legs, decorative nailheads on the rolled armrests and is generously tufted. 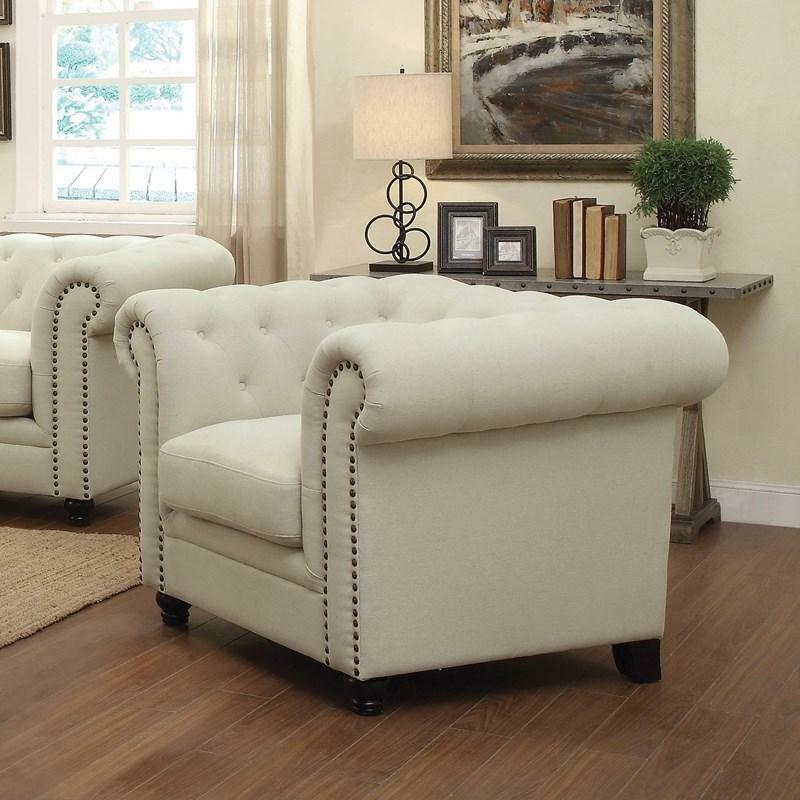 Transitional and traditional in design it is wrapped in oatmeal linen blend upholstery. Volume 105 cu. ft. / 2.97 cu. 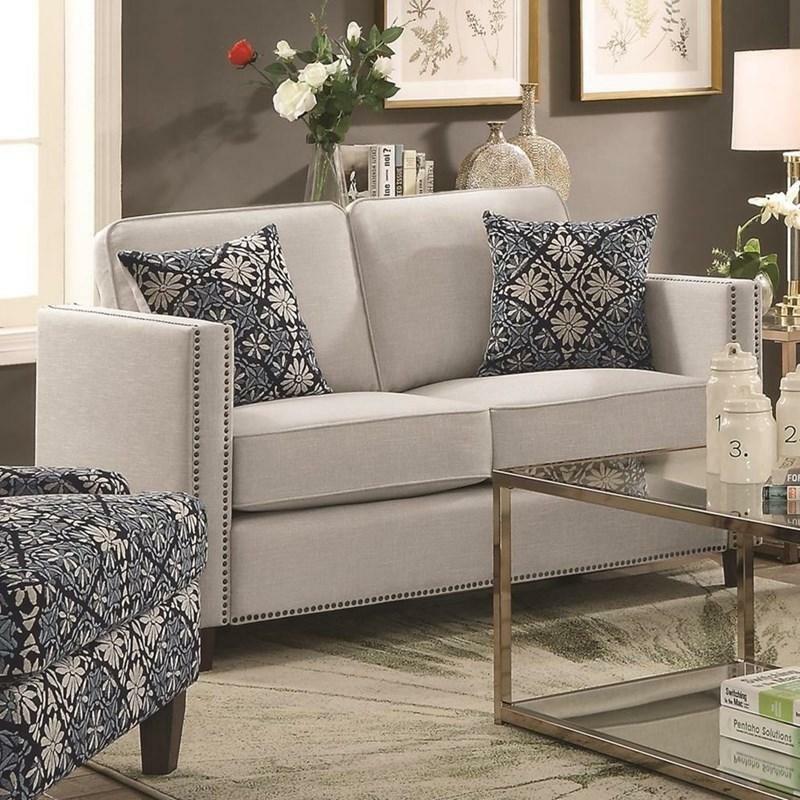 m.
This Coaster Furniture ottoman matches our best selling Roy collection. 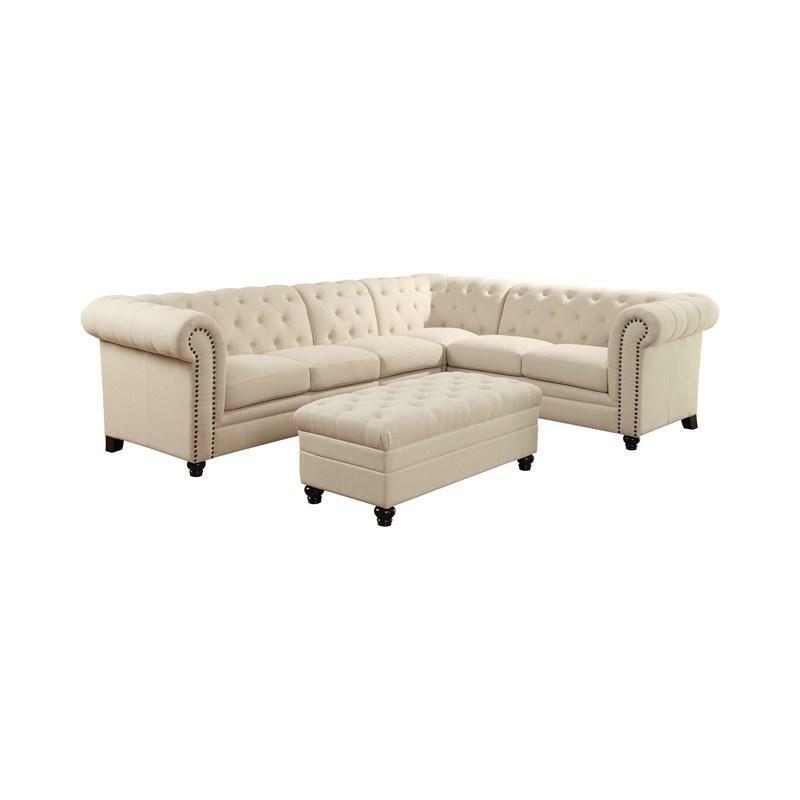 Transitional and traditional in design, it is wrapped in oatmeal linen blend upholstery and generously tufted. 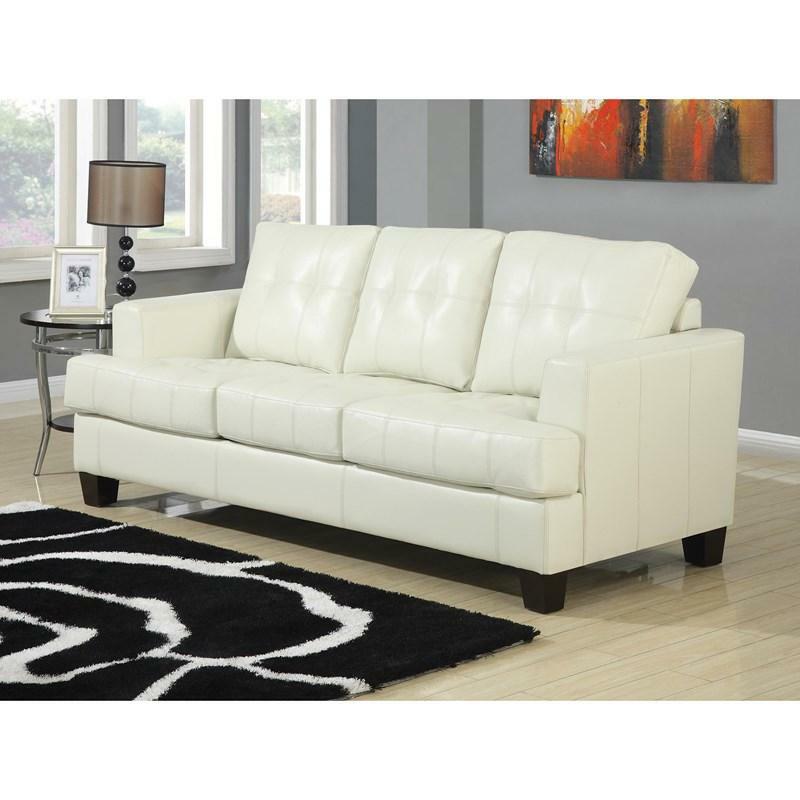 It matches and completes the sectional. 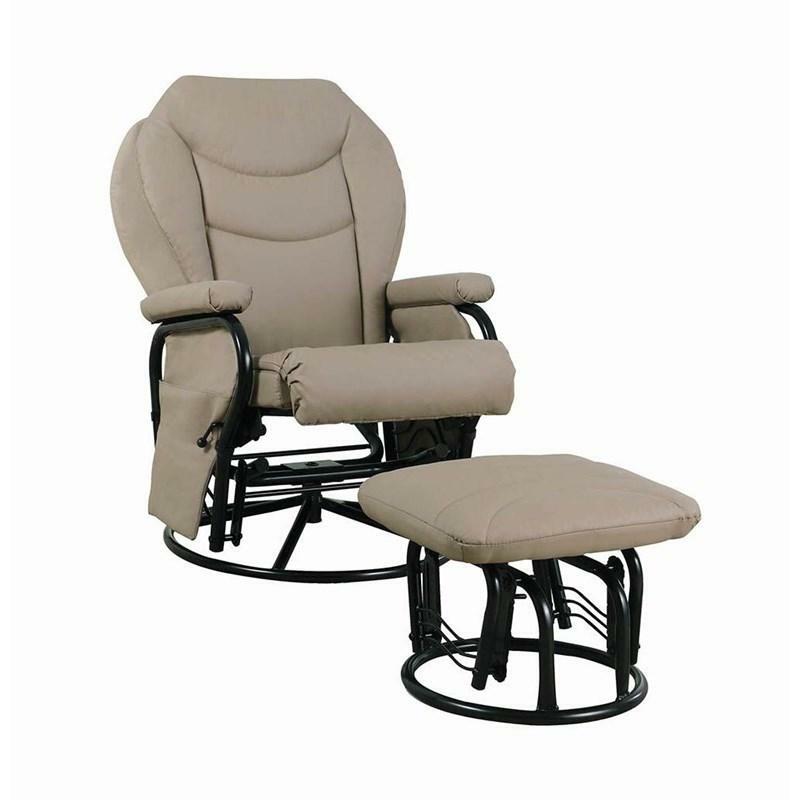 The 500222AC armless chair from Coaster Furniture features traditional design, pocket coil seating and solid wood legs. 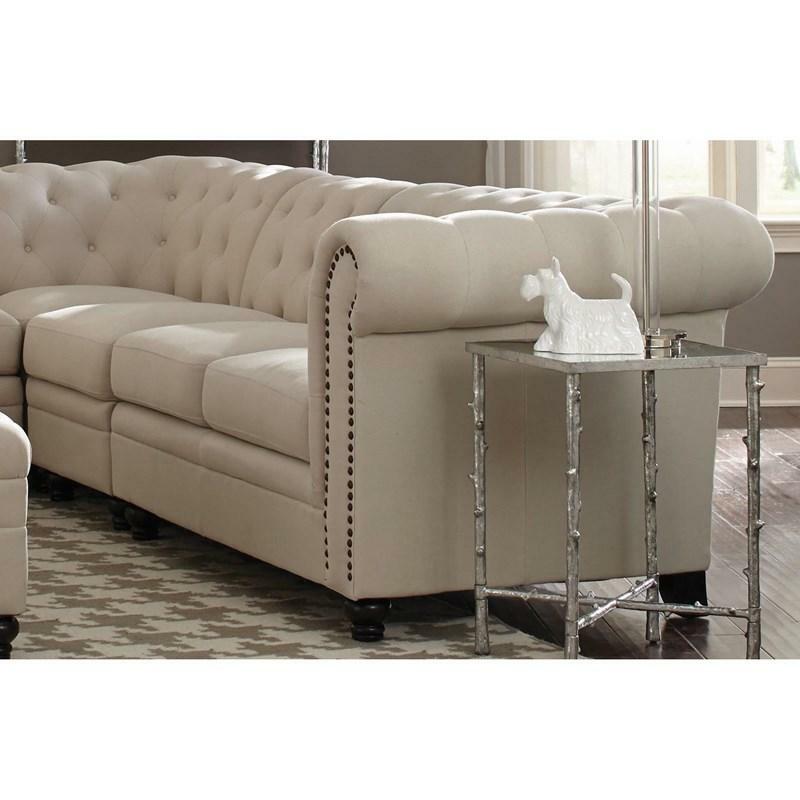 It is generously tufted, features oatmeal linen blend upholstery, and a cappuccino leg finish.